Black Friday is one of the toughest days of the year for ecommerce companies. A retailer’s brand reputation, customer loyalty, and revenue are all at stake on this single day. 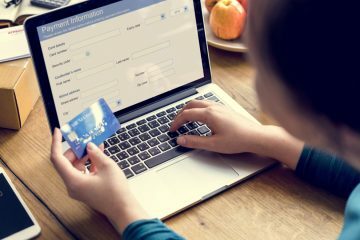 Some of the more seasoned online stores start their Black Friday preparation many months ahead of time to ensure the best customer experience during the shopping frenzy. Each year, more online retailers are choosing to start their sales earlier, even preceding Thanksgiving, and lasting beyond Black Friday to Cyber Monday. This year Express followed that trend, starting its Black Friday 50% Off Everything Sale on Tuesday, Nov 22. They sent out a promotional email early Black Friday morning to remind shoppers that the sale would end soon—I received one of those emails and immediately proceeded to their website to start shopping. When I attempted to access the site, however, I was faced with some performance issues. Their site started experiencing capacity issues starting around 9AM PT and displayed a message that read, “Our site is currently at capacity, but as soon as a spot opens up, we’ll put you right through.” When I couldn’t get through, I set up some tests to try to figure out what was causing the issue. 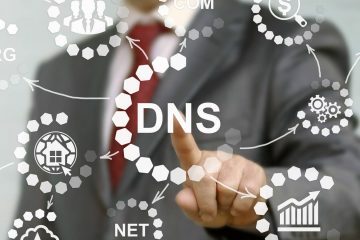 According to our tests, the problem appeared to be server or load balancer related, since we were able to reach the website and receive the server’s 200 response code for the failure message and background image. Since we were able to receive 200 Response Header from Express.com, our regular website test was passing successfully. 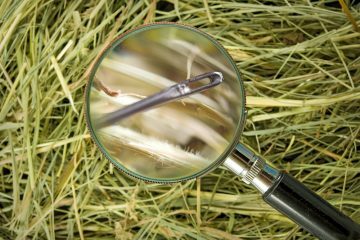 In order to make sure that the test reflected the server error as a test failure, a transaction test was set up. 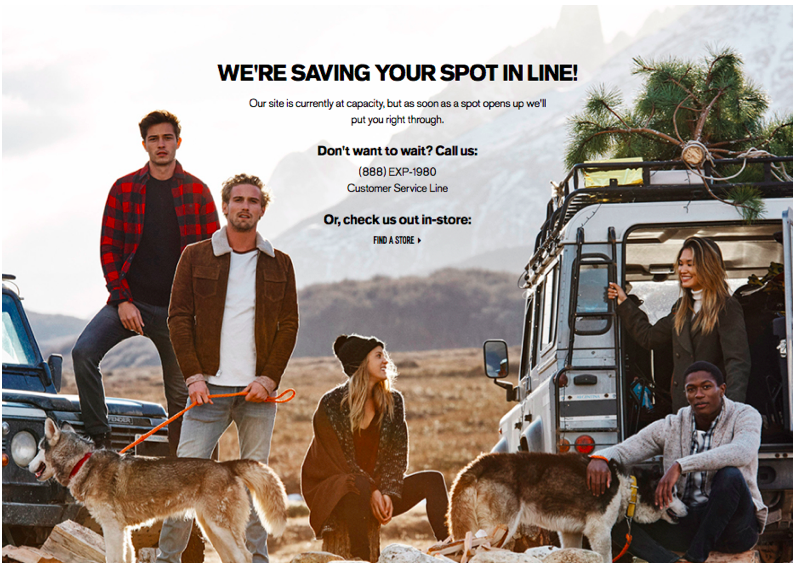 Steps of the test consisted of opening Express.com in a Chrome browser and asserting that the text, “Our site is currently at capacity,” was not present on the page. If the text was found on the page, it considered the test as failure, which are represented by the red diamonds in the graph below (the blue dots represent passing tests). At first the issue appeared to be intermittent; however, starting from 1PM PT the webpage was down and completely unavailable to shoppers for a few hours. Even if you were able to reach the homepage, the page redirected to the error page, making it impossible for the customers to browse items and checkout. Many shoppers expressed their frustration via Twitter. “@express it’s STILL not working. Can’t even get it loading now. I just wanted to get a Christmas gift and a sweater for myself ” wrote @nicole_marq. 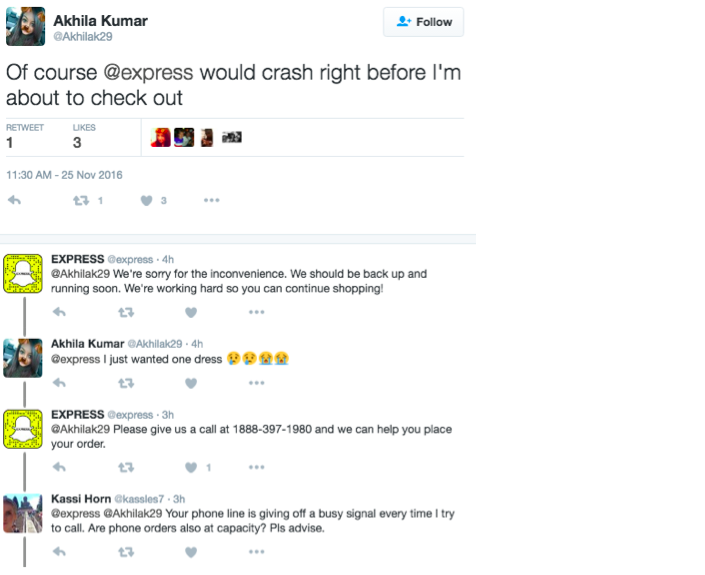 Express Customer Service was responding to their frustrated shoppers, replying “We’re sorry for the inconvenience. We should be back up and running soon. We’re working hard so you can continue shopping!” Though they did suggest that customers should call Express Customer Service to place their order, unfortunately the phone line was also “at capacity” and unreachable according to some Twitter users. Around 3PM PT on Friday, the wait time for 1-888-EXP-1980 support was over 30 minutes. Redirecting angry customers to the customer service line appeared to only exacerbate the situation. Around 4:45 PM PT, Express.com was back on and fully functioning. 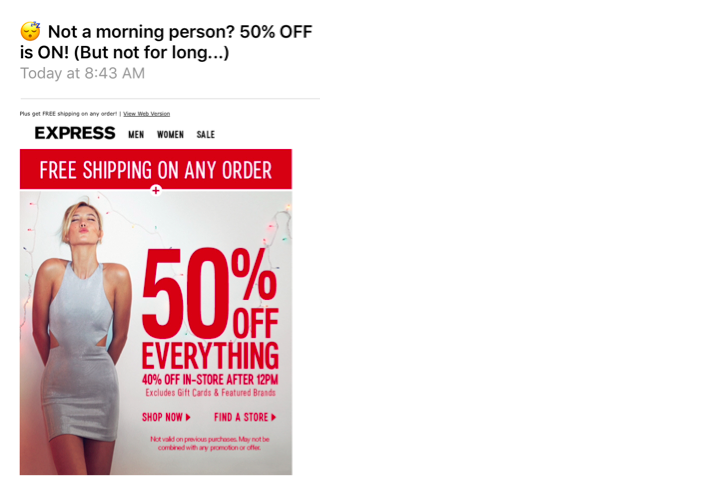 Express apologized by sending out the following message to its subscribers around 6:30 PM PT, and extended its Black Friday 50% off sale online only through Nov 26. 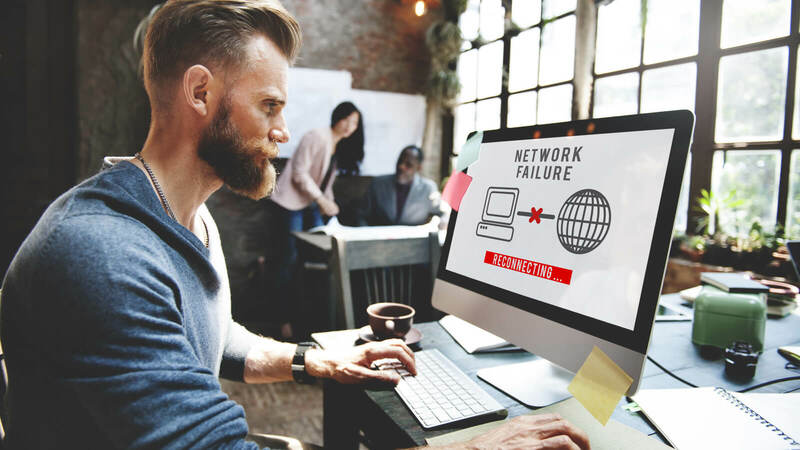 Though this was certainly an unfortunate outcome for this major online retailer, the damage was most likely minimized by their timely responses and extending the sale so shoppers would be able to make the purchases they wanted in the first place.